In the past decade or so food trucks, and the offerings they serve, have enjoyed an unexpected renaissance. It wasn’t long ago that this genre was dominated by ramshackle four-wheeled dives dishing out mediocre pedestrian fare to appease a mass palate. While those still exist, there is also a new breed of food truck on the scene. These nomadic kitchens are manned by innovative chefs who have honed their culinary chops in high-end restaurants. 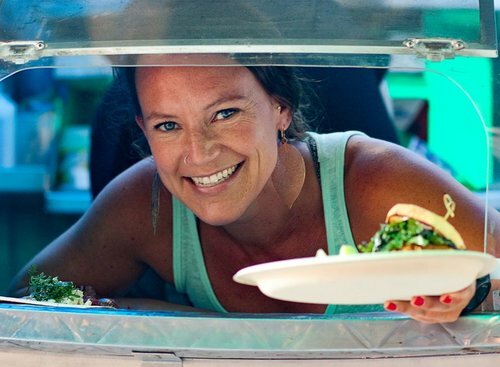 Detouring from the traditional brick and mortar path, they are taking their act on the road and elevating the tired mobile food concept to a new level. Such is the story behind the new venture of my friend, Chef Matt Elias. A native of the East Bay, Elias was first introduced to cooking in his grandparent’s Benecia home kitchen. “They had a big garden and were very food centric,” he says fondly. He credits the many hours they spent together in his formative years making food and watching PBS cooking shows as the foundation that sparked his love of food. As he got older, he naturally gravitated toward restaurant work, starting out as a dishwasher then working his way up the ladder to prep and salad stations. Though initially drawn to study architecture & drafting in college, he eventually circled back to food earning a Bachelor’s degree in Culinary Business & Management from Le Cordon Bleu in Arizona. After working full-time in the kitchens at several resorts, he landed at a restaurant called Quiessence in Phoenix. It was a transformative farm-to-table experience where they grew all their own produce, and baked fresh bread every day in a brick oven. Working there was a dream come true. 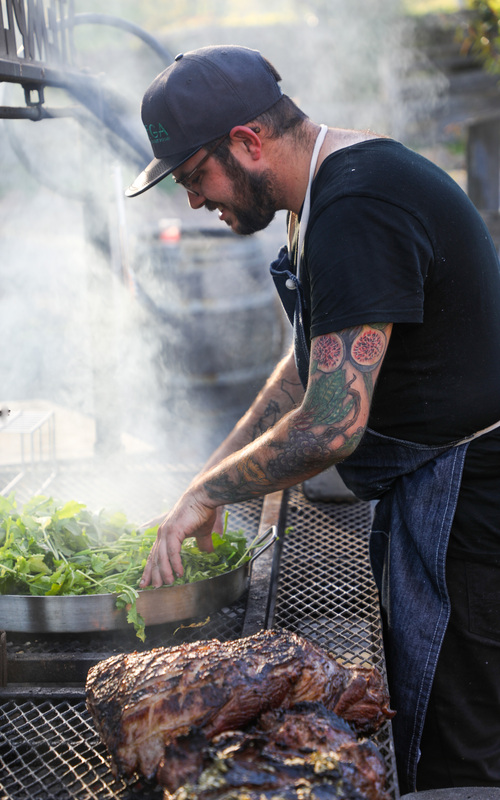 “During my time there, I fell in love with food all over again,” says Elias. When the Arizona heat eventually drove him back to the Bay Area, he continued to refine his skills in the small, fast-paced kitchens at Eccolo in Berkeley, and Bar Jules in San Francisco’s Hayes Valley where he was encouraged to experiment and innovate. When his roommate moved home from Oakland to Valley Ford to help out on the family’s fifth generation ranch, Elias followed. For the next year he immersed himself at True Grass Farms in rural West Marin, before being hired to work at Saltwater Depot in Inverness, California. 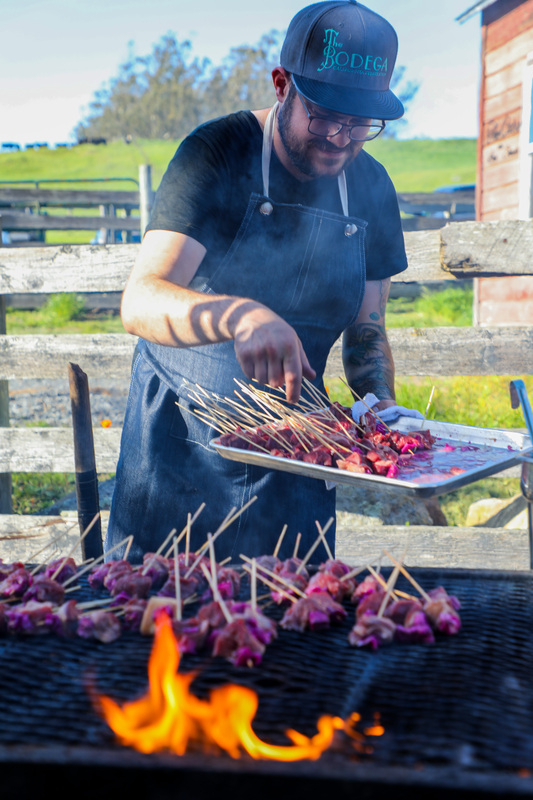 The restaurant mirrored his personal philosophy for sourcing local sustainably raised ingredients, and foraged food from the surrounding wild lands. What started out as a part-time gig on Mondays, turned into cooking for private events, catering, and butchery as Elias gradually worked his way into the Executive Chef position. He quickly built a devout fan base in his tenure at the helm of Saltwater, where his reputation for crafting fine food with a seasonal focus took hold. After a very successful run at the restaurant, Elias decided it was time to shift gears and take a break. At the time he knew two things for sure: he wanted to stay in Sonoma County, and he was tired of the daily restaurant grind. That’s when the idea for a food truck began to take shape. Inspired by a friend’s quote (“We’re in the business of serving people food.”) he started thinking about how he could serve people affordable food that he loved to cook, using ingredients grown and raised by local farmers. Soon after, he found and purchased a vintage 1979 food truck. It needed some TLC, but he rolled up his sleeves and dove in. With some body work, elbow grease, and a coat of sea-foam turquoise paint, The Bodega, CA. was born. The name reflects his concept: a little bit of everything. “You never know what you may get,” smiles Elias who, true to style, keeps the menu fresh and seasonally focused. Together with his business partner, former Saltwater manager Laine Ayre, The Bodega, CA. 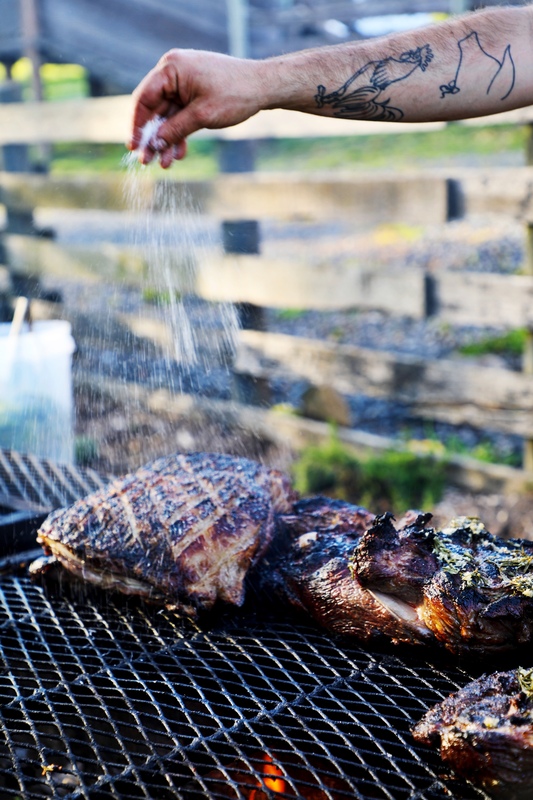 can be found pleasing palates at various locations around the North Bay. While Elias stresses his food is “simple and tasty,” there’s nothing pedestrian about his offerings. 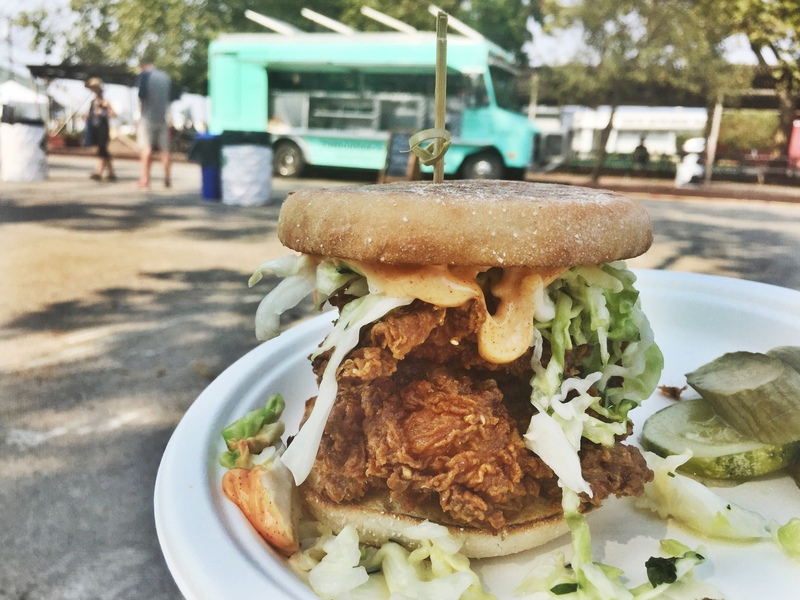 His humble food truck crew is putting out approachable, top quality offerings that rival what you might find in some of the Bay Area’s best restaurants. 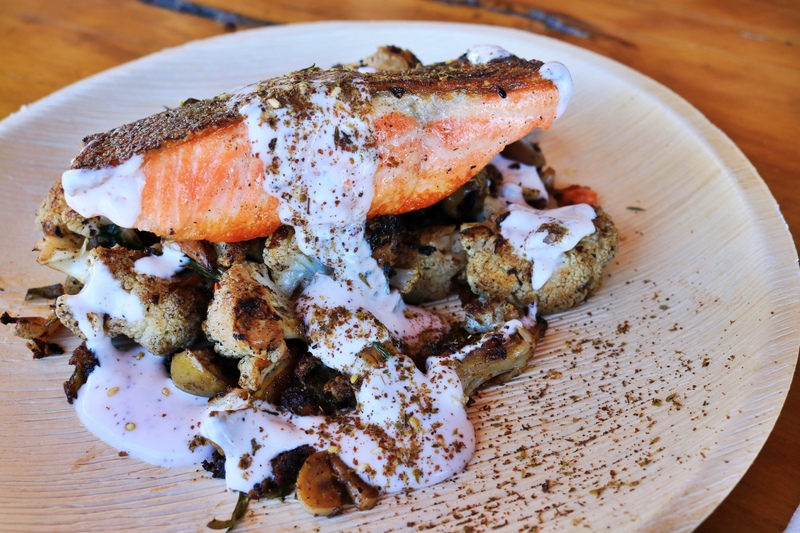 Take for example this Seared Northern Steelhead with roasted cauliflower, Jimmy Nardello peppers and Straus yogurt with lime. The only difference between this dish and the one you’ll find on the menu at a high-end restaurant is the paper plate it’s served on, and the great price! 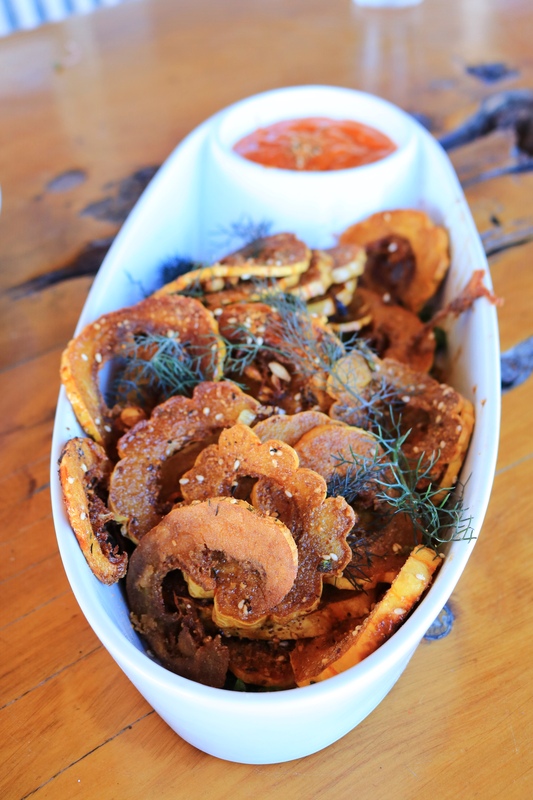 Or how about these lightly spiced Fried Delicata Squash with smoky aioli. Simple but absolutely sensational! The menu is seasonally driven and changes weekly, but certain staples are consistent favorites. On a personal note, The Bodega’s signature sandwich made with crispy, buttermilk fried pastured chicken, smoky aioli, and herby slaw on a homemade english muffin is, bar none, the best I have ever eaten. 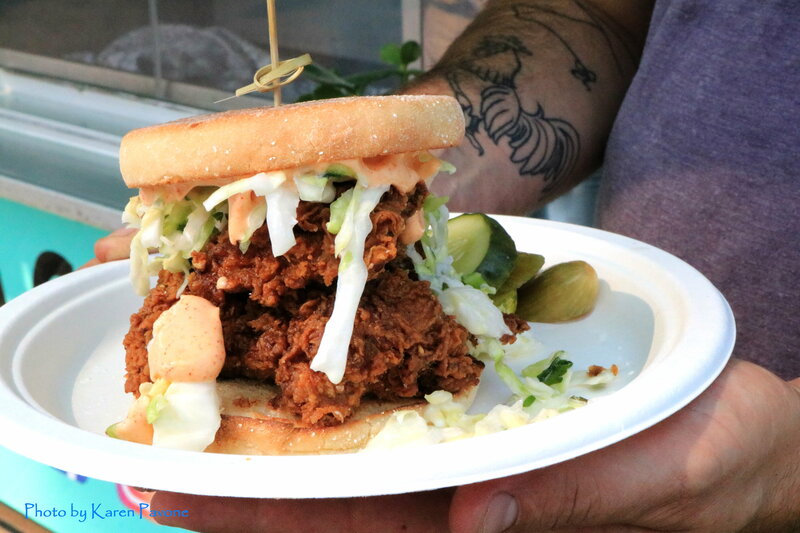 Elias has achieved his goal of mastering, “the best fried chicken sandwich anywhere.” This addictive sando alone will have you hunting down The Bodega, CA to get your weekly fix. 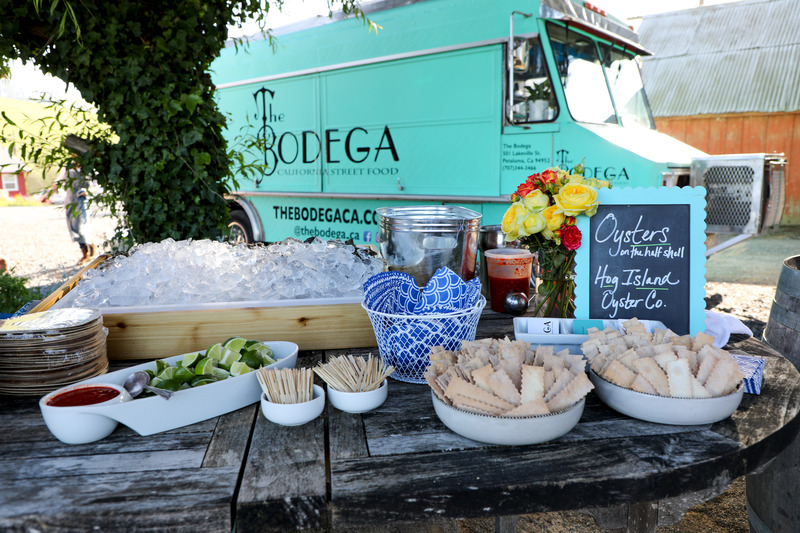 Discover The Bodega, CA. for yourself every Friday at The Block Petaluma, from 4-10pm, where you can enjoy Chef Matt’s amazing food in a casual open air setting, complete with beer garden, and a view of the Petaluma river Be sure to visit their website and follow them on social media see the full calendar of upcoming places/events. And if you’re throwing a party, give them a holler to roll on over and cater your affair. Congratulations Matt and Laine. 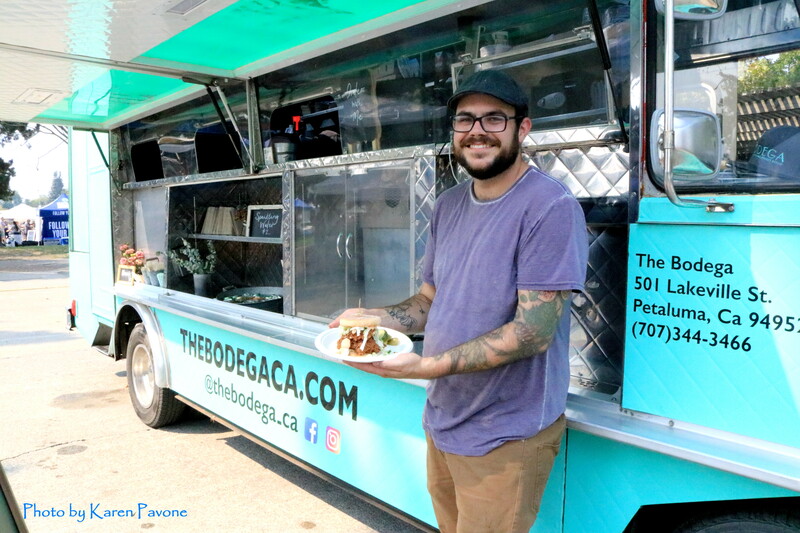 You’ve got my vote for Best North Bay Food Truck!